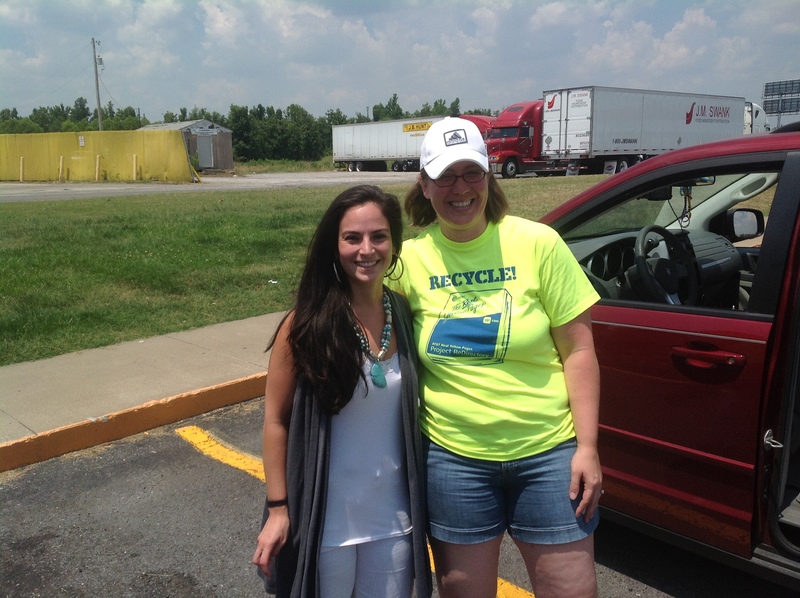 Yesterday we took a road trip up to Paducah, KY to meet an amazing sale owner from St. Louis and pick up her sale donations. Jeannine, from 3 R Kids Consignment Sale, partnered with DAR Project from the VERY beginning. She believed in us so much that she saved her donations, boxed them up, and drove two and a half hours to deliver them to us. Words… I have no words to explain how thankful I am for her. If you would have told me a year ago that I would be using a vision I had and trying to mold it into a lifelong dream, I would have probably agreed with you. Now, if you would have told me I would be meeting AMAZING WOMEN (and some men), making new friends all around the world with plans to take our first round of donations to Central America, I would have never believed you. We are still in our infancy, and I’m not going to lie… It gets super hard… To the point that I question whether or not I’m going to be able to make it work. But, moments later, I kid you not, it’s as if God reminds me that this IS what I’m suppose to be doing. How do I know this? Because of the moments when I feel like I have emailed EVERY company trying to get them to believe in this project, and weeks have gone by with no response… BUT then, at that moment I get an email from a nationally recognized children’s clothing company wanting to partner with DAR. God is in total control, and He lets you know when He is ready. Ally and Natalia hit it off just great. Then again both of these girls have no enemies, and combined they have more love than nearly the rest of the 7 billion people on the planet. The subject of “dreams” has kept finding its way into my readings, experiences, and conversations these last few days. When traveling and searching for what it means to be human, I have found you usually meet a lot of dreamers. But life also has a way of putting you in the right place, at the right time, with the right people, even if you’re not looking for it. I imagine it’s been my whole “dream chasing” that connected me to my friend Natalia and her family for over a month now, not to mention countless other generous people along the way. 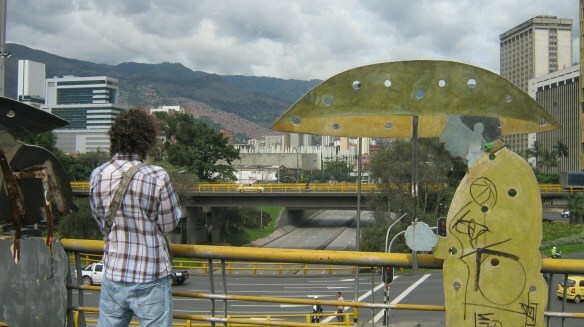 And I think it’s the idea of dreams that brought my friend Ally here to Medellin for a short visit. Ally’s about as good at planning as I am. Just over two weeks ago the idea presented itself to join me in Medellin, share in my wandering and my project, and offer some encouraging friendship before returning to Tennessee for summer work obligations. What started as whim, a simple thought, a tug of the conscience, a hope, that little voice deep inside, or what some would call a dream, became a reality in just moments. Four hours later the plane ticket was purchased. I like it when life happens quickly and spontaneously sometimes. I think that is what dreaming is like, or maybe what “living the dream” is like, not being bound by plans or limited by our expectations. Since traveling, I feel like I better understand how dreams work. What conventional wisdom tells us won’t work often does. What we dreamed about being when we were kids was probably a lot closer than everyone told us. The good we still want to do in this world is truly within an arm’s reach, and if we’d just reach out and grab for it, one day it could be our reality. It is no coincidence that my friend Donnie sent me a copy of Bob Goff’s book, Love Does,to Colombia with Ally. I am not finished with this book, though I will be soon, but here is my advice. Buy it. Yes, Bob is a Christian author, with a Christian message. Yet I don’t think you will find a drop of religion in this book. At least if that is what you are looking for, a book on Christianity, it will really change the way you think about what you’ve heard about faith or what the message of the Bible should be. More importantly, Bob doesn’t write to argue or to prove a point. It is simply a collection of thoughts, and experiences that I think will challenge people from all backgrounds, all religions, and all philosophies. What Bob has taught me in the first fifty pages are that dreams and love are not the same. But if you pursue one with your whole heart, you will find the other. Because like love, dreaming is an action. Love without action, is just another insignificant word. A dream without action, is just an insignificant thought. Both powerful enough to move mountains. But without action, they couldn’t hold the weight of a feather on their shoulders. I am also reminded that dreams, like love, can be abused. They can be misguided, selfish, and take the desire to truly live from those around them. In extreme cases, these dreamers can even believe that human life is less valuable than certain ideals. Yet, I think it is the sad realities that exist which show the true interdependence of both dreaming and loving. Because when love is absent, dreams fail to give life and at times they are responsible for “taking life” from others. Where would we be if some of the greatest influences in history listened to what everyone told them? I imagine we would be stuck without cars, planes, phones or electricity. The issue of racial inequality would be far worse than it is now in parts of this world without some of the greatest dreamers of our time, Dr. Martin Luther King Jr. and Nelson Mandela. I even believe spirituality, religion, and philosophy would be even more misunderstood than it is now. Just like the dreamers before us, what if we listened to everyone who told us we can’t, or that our dreams are too big, where would we end up? Dreaming, without a doubt, is a part of what it means to be human. Every child knows how to dream, just as every child knows how to love… that is before we teach them not to dream, or teach them that they are unworthy of being loved. That’s the real issue, somewhere along the way we have forgotten how to dream. And I believe when someone stops dreaming, they begin to die inside. If we fail to dream, what is there to live for? If there is nothing to look forward to, what’s the point? If we have it all figured out, what is left to surprise us? With that said, I don’t think Ally, Natalia, or I could have truly dreamt of what this short trip would include. The truth is it was only uncertainty that was separating us from what could be. I don’t think that my friends with the DAR Project or Switchboard Missions, who have big dreams to love in big ways have any idea what is coming next. But can we ever truly be certain about anything? Can we ever expect things to go according to plan? Yet if we are dreaming out of love, I think we can be certain that something is going to happen, something big. I like my life without plans right now, it has taught me to appreciate more than it has taught me to “expect”. Though my daily plans are uncertain, my dreams are still waiving carrots in front of me while those who fail to dream are lighting the fire beneath me. So what am I getting at? Dream. Learn to dream. Be a kid, dream about ice cream, butterflies, or pop tarts. I don’t know. I just want everyone to remember that dream that they had to love people and to make a difference, yet they lost it in lectures about “responsibility” or to the dreams of others. I don’t believe it is in our power to tell people what their dreams are, I don’t think we can truly know the dreams of others. However I do believe it is in our power to encourage people towards their dreams by inviting them to use their gifts and passions to demonstrate love. Life is meant to be lived, but sometimes to live we have to dream. Don’t let anyone who hasn’t tried, tell you that you can’t. Don’t let anyone who isn’t truly living, tell you how to live. Most importantly, don’t let anyone tell you what your dream should be. It is your life, your dream, no one else’s. I guess this is the important part, which I probably should have started with. If you are still with me remind me that I owe you a cookie the next time I see you. Seriously, my treat. This is what we share in our humanity, our ability to love and to dream. If we wish to truly live, we will have to learn to make mistakes and test the boundaries of what we are taught. Sometimes to dream, or to love, it means there may be times we need to be spontaneous and appear impulsive or irrational. It means doing things that we cannot explain, and still knowing deep inside that it is the right thing to do. It means buying a plane ticket, showing love to a stranger, or just starting with a desire to give it all. It means all of this and still so much more. But ultimately, to dream means there will be times we just have to scrap conventional wisdom and text book answers and search deep within the source of where both dreams and love are formed… the absolute center of our heart. Sunday morning at church I asked God to utilize me to make a difference in the lives of extremely poor children and women. I prayed hard, asking him to hear my voice. Two days later I have talked to a nonprofit organization doing work in Costa Rica and Nicaragua. I have talked to another young girl doing amazing work in Uganda and Nicaragua. Both of these women wanting to partner with DAR. I have talked to women of our church with helping them with their sea container to Haiti next April. 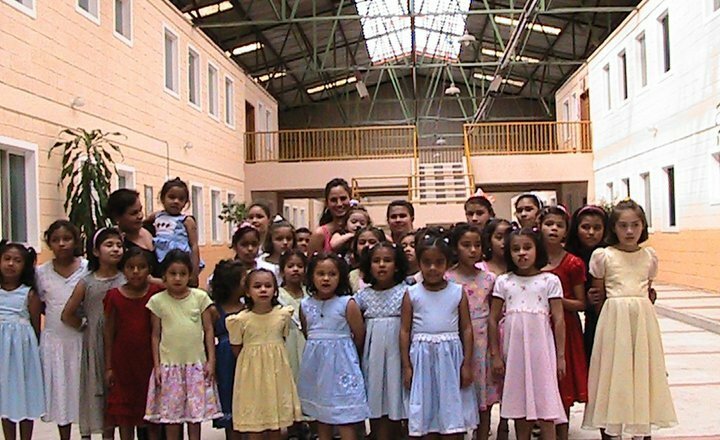 And I have spoken with my friend in Colombia who is wanting to help DAR reach it’s goals of providing HOPE and a sense of INDEPENDENCE for these women and children. Is it just me or can you see the crazy work God is doing?! So many people think this idea is just another foolish idea of mine. Like I have said before those kinds of thoughts motivate me even more. I can’t wait to see what other amazing things God has in store for us to simply DAR. So my wife wants to start a non-profit. Cool, right? Yeah that’s what I said at first. “Here we go again… Martha has another crazy idea, and I’m gonna have to agree with how awesome it sounds or get the whole ‘You don’t support anything I try to do’ spill.” So, I agree that it does sound like a pretty neat idea, and I also hope that my wife’s ADD kicks in and that she either thinks up some other “brilliant” idea or just completely forgets about it altogether. As luck would have it, Martha decides to dive head first into this “DAR Project”. Happy, happy, joy, joy! OK, so I wasn’t so thrilled that we were going to be using another section of our home to stock pile more “stuff” for another one of Martha’s “I think outside the box and you don’t” schemes. That is, until I went out for my first pick up and was able to see first hand how many sets of clothes, shoes and books we would be able to send out to children’s families across the world (or so we hope). And so it was in this point of time that I realized what my role would be in my wife’s newest venture. I am here to support her emotionally and help her physically in any capacity that I can, with the time that I have to give (which as a college basketball coach can be somewhat limited at times…. and she gets that, which is why I love her so much). I am all in, because we are in this together. That’s just how love works. And I’m not just talking about the love between two people. You have to be willing to push all your chips to the center of the table in anything that you are truly passionate about. This is my wife’s greatest gift… Trust me. This is Martha’s passion. Some of us are called to truly serve others. The unique thing about her is that she is able to serve while she leads. I can’t begin to tell you how many times I have heard her say that she wants to be in a position where she can make a difference in our world. Think about that, and try to grasp it if you can. We can all DAR.